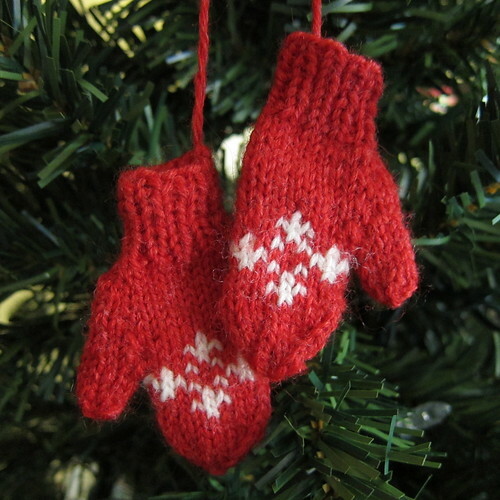 This week’s ornament is for the knitters out there, a teeny, tiny pair of mini mittens. 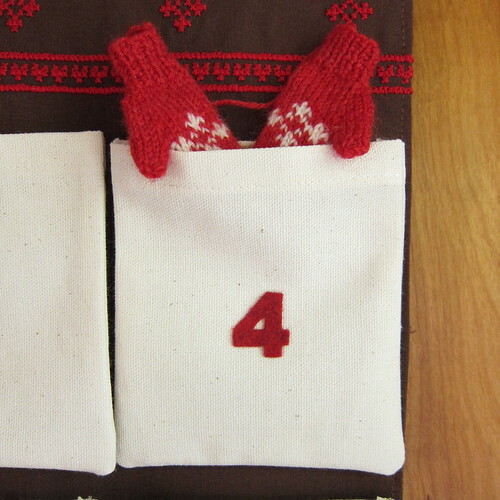 These little 2 1/2 inch mittens are perfect to hang on the tree, decorate packages or hang from that bottled hostess gift. This is definitely a project for the intermediate knitter who is comfortable with working a small number of stitches on double-pointed needles. Adding in a colorwork snowflake chart takes it up another notch, but these would look cute with or without that addition. If you want some practice knitting small items on small double-pointed needles, why not try our Tiny Toques first. 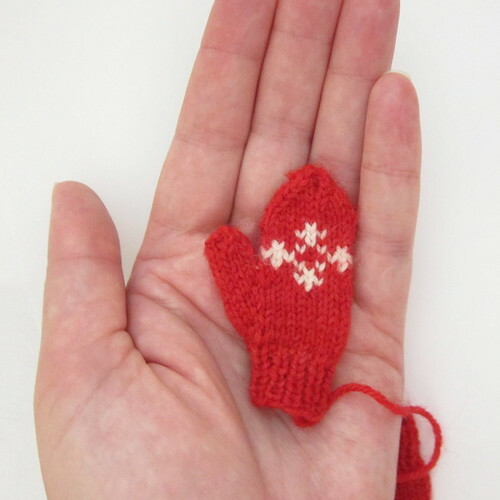 Download the Mini Mittens Pattern. Abbreviations: We recommend Knitting Help for great videos on how to do decreases, increases and cast ons. Cast on 18 stitches. On one of the mittens leave a long tail. Join in a circle being careful not to twist. Place a maker to mark the end of a round. Cut the yarn leaving a tail. Put the tail on the tapestry needle and weave through the stitches on the needle. Pull tight to close. 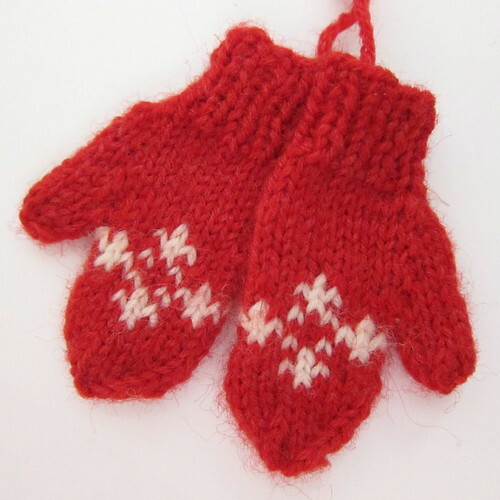 Pull the yarn inside the mitten and weave in ends. 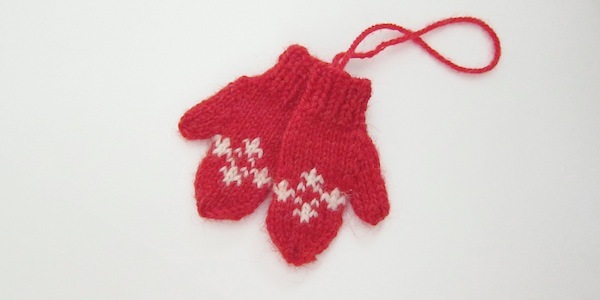 Weave in any remaining ends except the long one you left when casting on one of the mittens. Block if desired (I found this really helped with the shape). 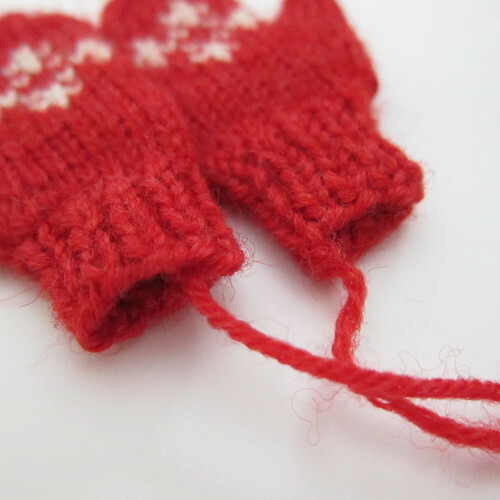 Use the remaining tail to join the mittens together. This pattern is for personal use only. Please do not sell, distribute or teach this pattern without my permission. 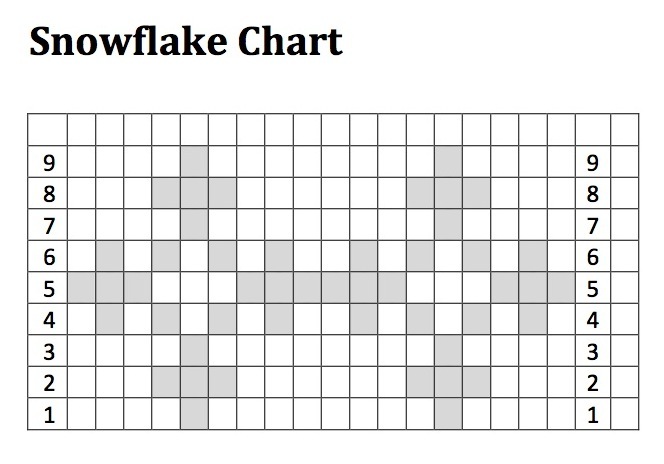 Do not claim this pattern as your own. Do not sell items made with this pattern without permission. Pingback: 35 DIY Christmas Ornaments: From Easy To Intricate! Pingback: Awesome DIY Christmas Ornaments: From Easy To Intricate! Pingback: Amazing stunning ornament Christmas DIY | Welcome to Look-is-Learn! Oh my gosh, you are right & the first person to catch this in 4 years! Pingback: Very Gool Creative DIY Ornaments | Mobile Popz! Pingback: 53 Handmade Ornaments YOU Can Make - Happily Ever After, Etc.